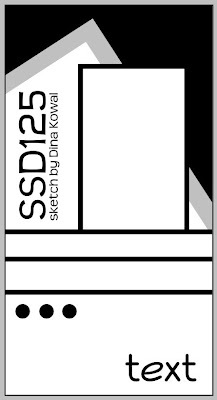 ...and my card: I loved working with this sketch! These papers from Memory Box and Echo Park worked so perfectly with the bird theme. I used the branch stamps from the 2 new sets to create a background, inking and misting the stamps before stamping them to my watercolor paper. To tell you the truth, I think that panel may be upside-down...! I used a marker to color my seam binding to match... the dies I used are my designs (the eyelet border is from Sweet 'n Sassy Stamps and the label is actually the bottom end of a cross die from ODBD). I sent this card to a sweet lady who cut and highlighted my hair at no cost, just as a ministry she has to missionary ladies! I don't normally curl my hair, but here's a fun self-portrait while the kids were playing at the park... Remember to pop over to the SSD blog to see what the rest of the team has created! Thanks for stopping by to visit me! Hi Dina, received my stamp set this morning that I won and I have already made 2 cards! I absolutely love the stamp set. Just wanted to say thank you again! Such a beautiful card! You do amazing work with these Heartsong sets! Thanks for the awesome sketch- it's been wonderful having you on the Skipping Stones Team this month! Love the photo Dina!! God Bless you and your fam Sister! !